How can life’s difficulties be any more than what they are? How can trials and heartache be worthwhile? How can falling down and hurting be uplifting? Because God promises to use it to bring about transformation in us. God makes Jesus death become our death. And thus partake in His glory. For now we must hold on to this promise, and our hope in Christ. Knowing the transformation is hard but so worthwhile. 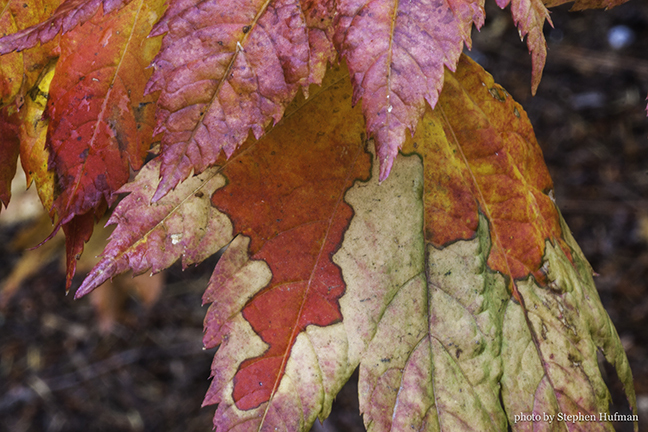 This entry was posted in Photography and tagged 2 Corinthians 4:17-18, death, devotional, Fall color, glory, leaves, resurrection, transformation by Stephen Hufman. Bookmark the permalink. Thank you for your blog. I look forward to the next one, Right after I read today’s . I really feel like it’s speaking to me.keep going! Amen, may God do more than you ever could imagine.